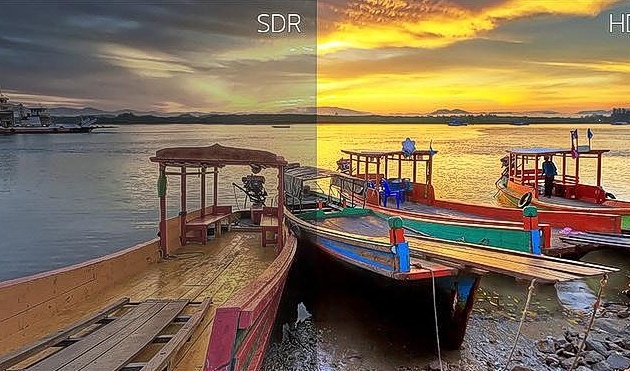 The HDR Effect helps transform non-HDR content into high quality video that looks like HDR through its picture quality algorithm. 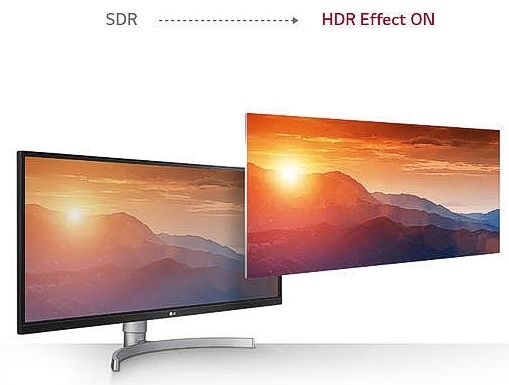 This monitor, with 99% coverage of the sRGB spectrum, is a great solution for photographers, graphic designers or anyone looking for highly accurate colour. The ultra-thin bezel on three sides of this streamlined display offers a virtually borderless visual experience, without distraction from the precise, gorgeous image. A sleek addition to any desktop. 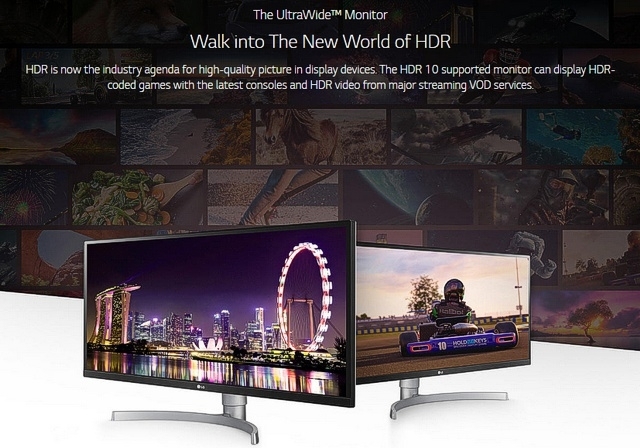 The UltraWide 21:9 aspect ratio makes movies and games more immersive than ever. Need to get some work done, too? All of that UltraWide real estate makes it easy to view multiple documents at the same time, so you don't need to flip back and forth between them. 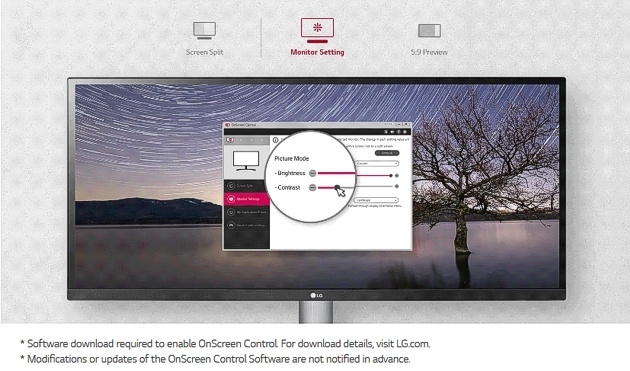 On-Screen Control puts a host of essential monitor settings into a handy window for quick, easy access. Volume, brightness, picture mode presets, Screen Split 2.0 and Dual Controller and more can now be adjusted with just a few clicks of the mouse, instead of hard buttons on the monitor. 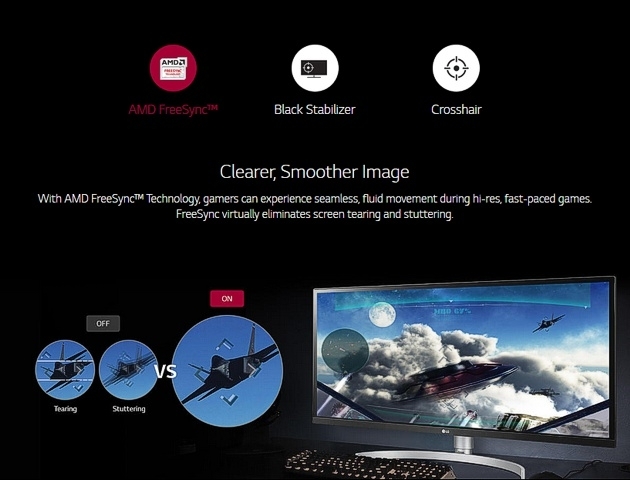 With FreeSync, gamers can experience seamless, fluid movement throughout hi-res, fast-paced games. 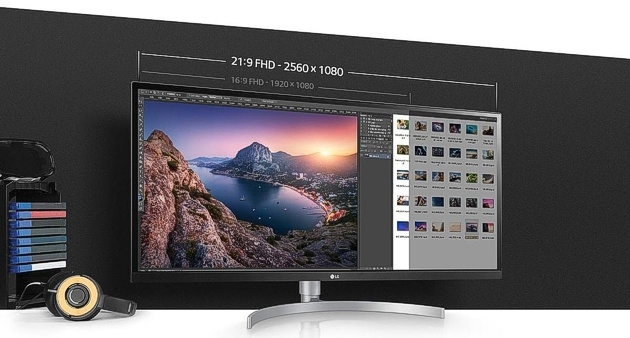 FreeSync virtually eliminates screen tearing and stuttering. 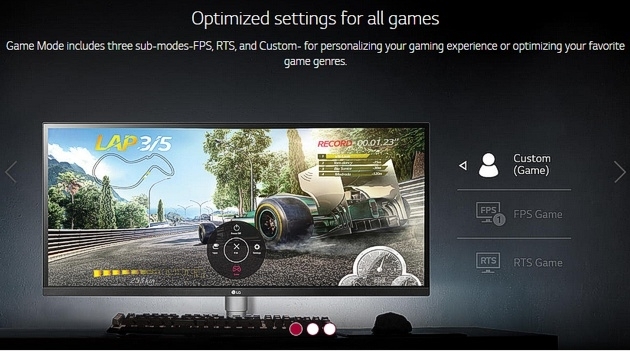 Serious gaming features for serious gamers. Quickly optimize monitor settings to activate Black Stabilizer to reveal superior detail in dark scenes while the Dynamic Action Sync feature assures smooth, fluid gaming action. 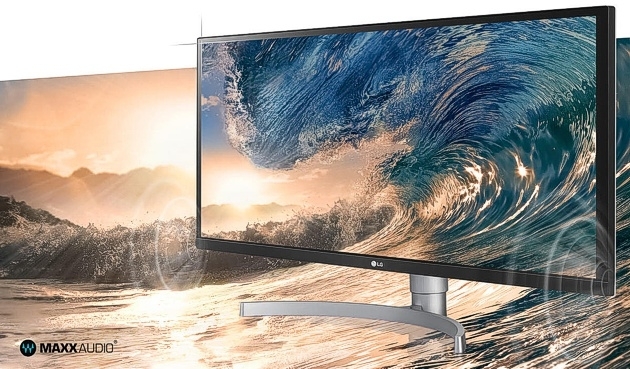 LG IPS monitor displays impeccable colour accuracy. 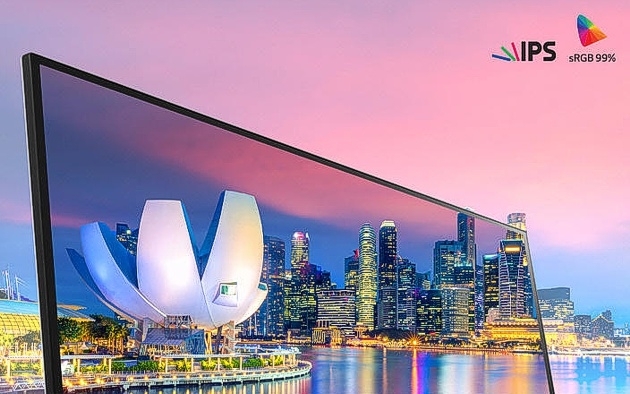 With a wider viewing angle, the IPS display boasts 99 coverage of the sRGB colour spectrum.